The new Maruti Suzuki Ertiga gets increased dimensions, wider wheels and blacked out D Pillars. 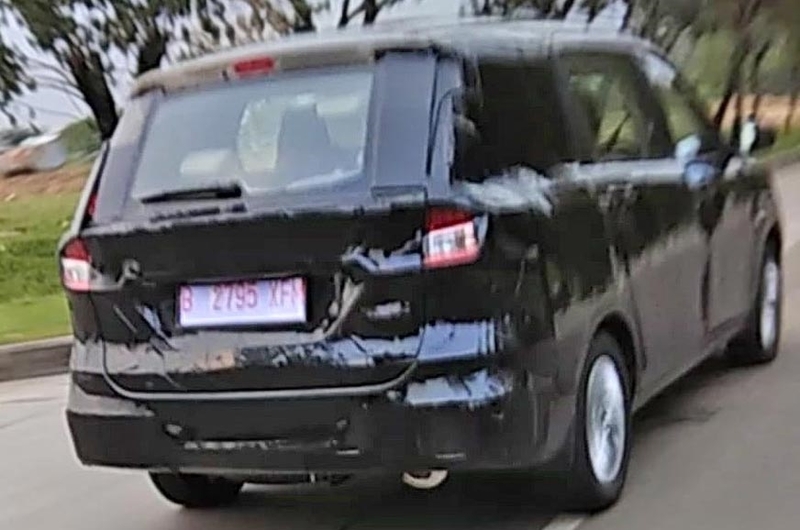 Maruti Suzuki Ertiga MPV has been spied testing again, this time in Indonesia. It is slated to make its official debut at the 2018 Indonesia International Motor Show from 19-29th April and head for launch in India sometime in the second half of this year. 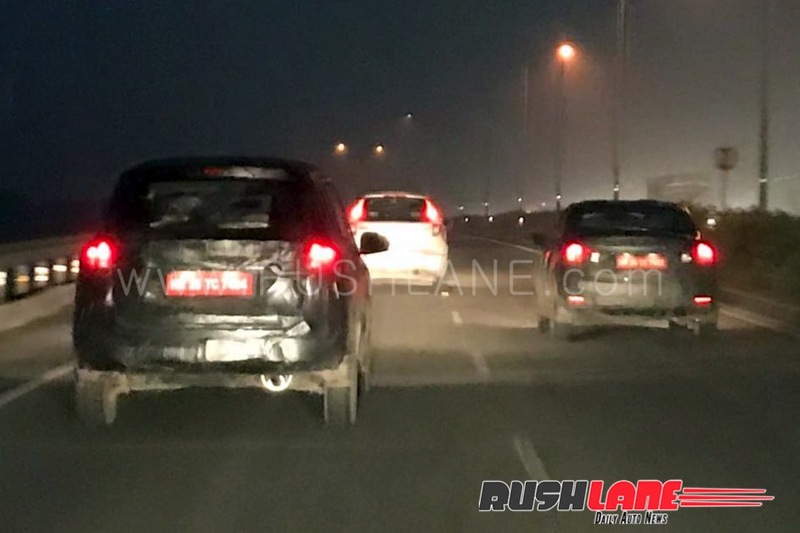 Heavily camouflaged while on test, the new Ertiga was also seen earlier this year in the outskirts of Delhi where it was noted with wrap around tail lamps, higher spec wheels and new stop lamp integrated in its rear spoiler. It also was seen with a rear wiper, blacked out D pillars, a raked rear windscreen and increased dimensions making it longer and wider than its earlier counterpart. The 2018 Ertiga is based on Suzuki’s Heartect platform which also underpins the new DZire and Swift. This new platform makes the car, yet stronger. Lighter body results in better performance, and higher fuel efficiency. Other visible updates include LED DRLs and projector headlamps, LED tail lamps and rear wiper which is now mounted in the center of the rear windshield. Interiors of Suzuki Ertiga include the same dashboard layout and same touchscreen infotainment system with Apple CarPlay and Android Auto. For India, the new Ertiga will come in with the same engine lineup that is seen on its current model. The 1.4 liter petrol offers 92 hp power and the 1.3 liter diesel is capable of 90 hp power. In addition to this, there is a new 1.5 liter petrol and 1.5 liter diesel engine which is currently being developed in-house by Maruti Suzuki. This new family of engines will replace the current set of engine at a later stage.